Flawless...she seizes upon these works as powerful and personal music dramas. Why See Lyric Opera of Chicago - The Three Queens? Singing the finales of all three of Donizetti's Three Queens Tudor trilogy in one single program is no mean feat, but American-Canadian soprano Sondra Radvanosky, a specialist in 19th-century Italian Opera is more than up to the task. Having embodied all three queens Anna Bolena, Maria Stuarda and Queen Elizabeth I (subject of the Roberto Devereux opera) in a single season, Radvanosky brings her pristine and charismatic interpretations of the royal women to a semi-staged concert at the Chicago's Lyric Opera in December of 2019. One of the most sought after opera artists of her generation and a champion of the Bel Canto format, Radvanovksy is universally praised for her powerhouse vocal technique and theatrical spirit, which has gone a long way in securing her prima donna status. The tour de force performer brought vocal fireworks to the Met's Three Queen triathlon, masterfully pulling off its acrobatic melodies and soaring heights to standing ovations night after night. Seen Lyric Opera of Chicago - The Three Queens? Loved it? Hated it? Sound good to you? 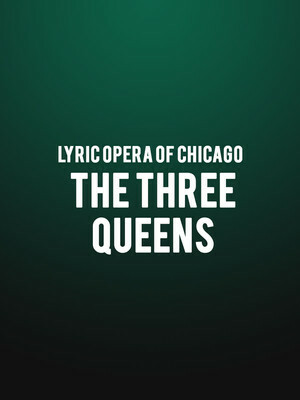 Share this page on social media and let your friends know about Lyric Opera of Chicago - The Three Queens at Civic Opera House. Please note: The term Civic Opera House and/or Lyric Opera of Chicago - The Three Queens as well as all associated graphics, logos, and/or other trademarks, tradenames or copyrights are the property of the Civic Opera House and/or Lyric Opera of Chicago - The Three Queens and are used herein for factual descriptive purposes only. We are in no way associated with or authorized by the Civic Opera House and/or Lyric Opera of Chicago - The Three Queens and neither that entity nor any of its affiliates have licensed or endorsed us to sell tickets, goods and or services in conjunction with their events.